A Fresno, California fruit farmer with $3.60 in his pocket became a Klondike gold rush pioneer, Alaskan gold mining entrepreneur, and a California oil legend, striking it rich not once, but FOUR times. Clarence J. Berry (C.J.) was not one of the flamboyant characters of the Klondike gold rush, he was too sober, loyal, hardworking, home-loving and, yes, straight-laced to light up anybody's imagination. And yet he was a big man, a robust man, a man's man who could hold his own in any crowd. C.J. and his wife, Ethel, who made their first million long before most people even reached the Klondike, were not part of the Dawson fast track. When they did allow themselves an occasional fling, it was of a simple nature. For example, Ethel had the only Jersey cow on Eldorado Creek; it lived in a sawdust padded barn and was fed hay costing $400 a ton (circa 1899). C.J. was a not only a guy that struck it rich but he was an all around good guy. Besides being a savvy businessman and hard worker, He got his kicks from helping others. The legendary story of C.J filling a coal can full of gold nuggets beside a bottle of whisky with a sign on his porch in the Yukon stating “help yourself” was a symbol of his compassion and good-will toward those down on their luck. Sad to say that most of the high flying personalities of the gold rush died penniless. C.J. was not one of them. He was unique in the annals of gold rush lore. Not only was he honest, industrious and self-disciplined, but he struck it rich, not once, not twice, but four times. First in the Klondike; second at Ester Creek; third at Circle; and fourth near Taft, California. Oil, of course. C.J created a number of companies during his lifetime; his most notable legacy is the Berry Petroleum Company (NYSE BRY). Check out the BPC history section, with fuller details of his actions in the Klondike, Alaska, and finding oil in Mariposa County, California. C.J. died unexpectedly in 1930 from a burst appendix. The C.J Berry Foundation was created by C.J. 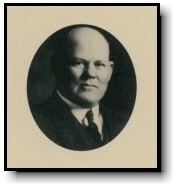 Berry's family and receives financial endowments and contributions from various Berry family members and supporting corporations to preserve C.J. Berry’s legacy and passion in helping people, communities and the environment. The C.J. Berry foundation was established as a California non-profit public benefit corporation. The Foundation remains exempt from federal income taxation under Section 501(c) (3) of the Internal Revenue Code, and is classified as a private foundation under Section 509(a) of the Code. The Berry Petroleum Company is not affiliated with the CJ Berry Foundation.